Superdry women’s vee varsity oversized crew jumper. Don’t compromise on comfort or style with this crew neck jumper. 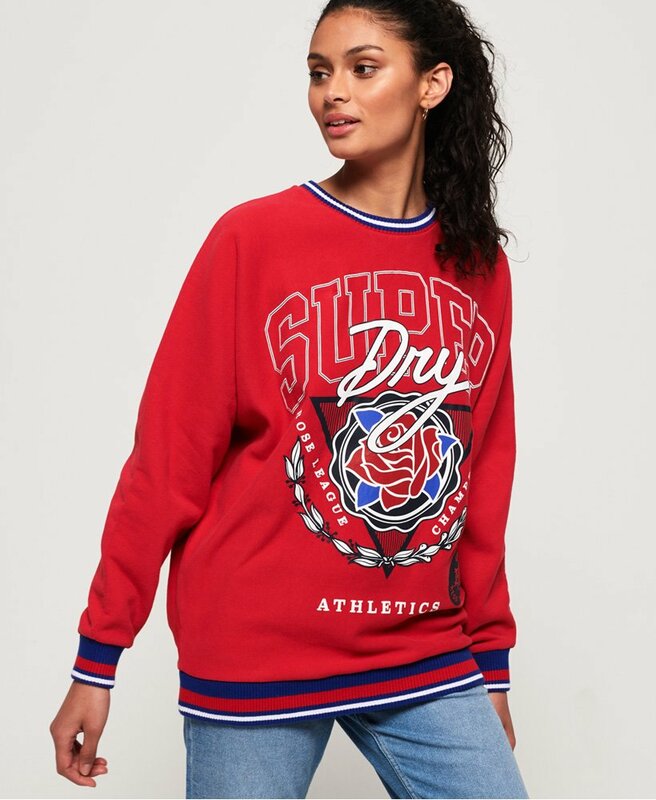 It features a large Superdry graphic across the chest, with a cracked effect finish and a ribbed hem, neckline and cuffs. For finishing touches the jumper has a logo tab on the hem. This the perfect layering piece and would look great over a tee and under a bomber jacket.